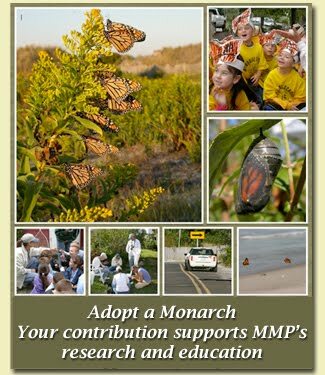 With west north west winds forecasted for the night, and west winds predicted for tomorrow, we could be in for an excellent monarch migration day. Our team can't wait to see what tomorrows counts bring, and are hoping for the opportunity to do lots of tagging and educating. Our official demo will be at 2pm at Cape May Point State Park. 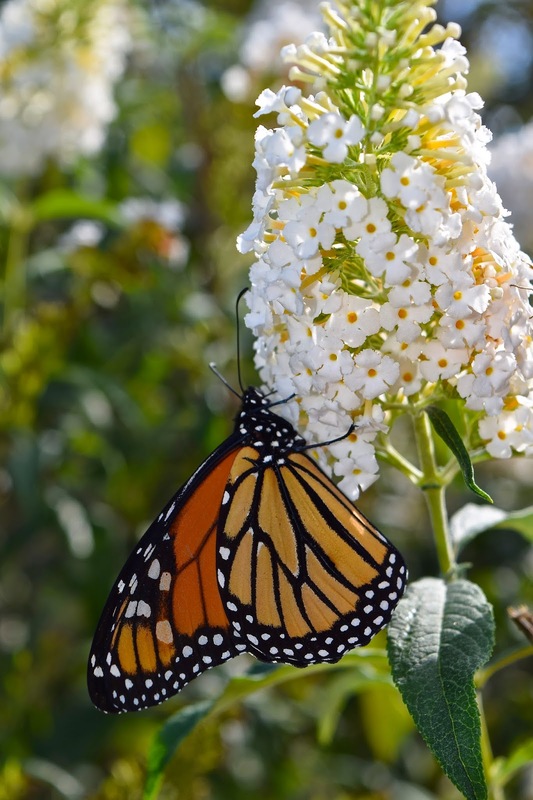 Monarch nectaring on butterfly bush. Along with monarchs, many other butterflies can be spotted around Cape May Point, like this common buckeye butterfly. The large false eyespots make the buckeye an easy butterfly to identify. Some of the host plants for buckeye larva include plantain, toadflax, and snapdragons. Common Buckeye with its distinctive eyespots and orange bars on the forewing. These are black swallowtail caterpillars, which can often be seen munching on the dill and parsley growing in the Pavilion Circle and the Triangle Park. Unlike a monarch, black swallowtails have an adaptation that allows them to survive the cold winters of the north. When these caterpillars are full size they will make a chrysalis, overwinter within the chrysalis, and emerge as a butterfly in the spring. Here is a black swallowtail caterpillar attached to a branch, preparing to form into a chrysalis. The balck swallowtail will remain in the the chrysalis form (seen below) all winter. This period of suspended development is known as diapause. The chrysalis of a black swallowtail is camouflaged to look like a stick. In the spring, out of the drab looking chrysalis, the stunning black swallowtail butterfly will emerge. Black swallowtail clinging to a branch after emerging.